Emperor penguin chicks hatch into one of Earth’s most inhospitable places—the frozen world of Antarctica. Childhood in this environment is harsh and lasts only about five months, when their formerly doting parents leave the fledglings to fend for themselves. 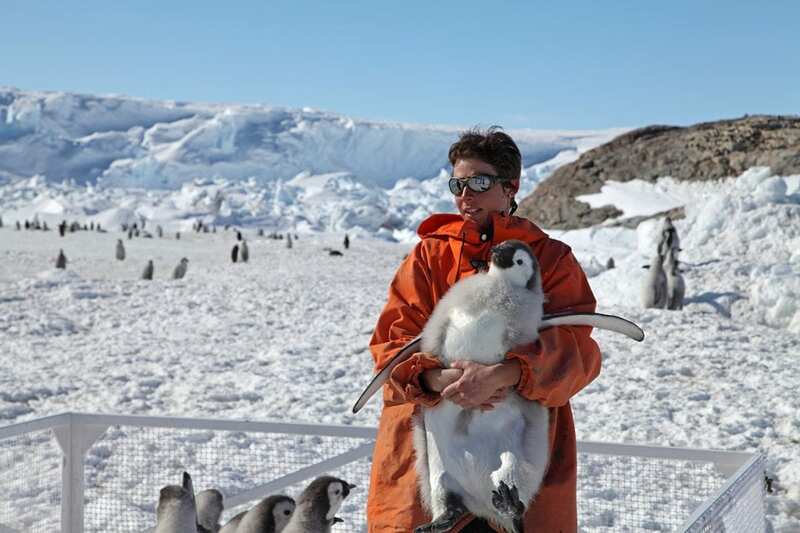 New research by the Woods Hole Oceanographic Institution (WHOI) and colleagues reveals the previously unknown behaviors of juvenile Emperor penguins in their critical early months when they leave their birth colony and first learn how to swim, dive, and find food. The paper, published Jan. 17, 2019, in the journal Marine Ecology Progress Series, also highlights the unique connection between juvenile diving behaviors and a layer of the ocean, known as the thermocline, where warmer surface waters meet cooler deep waters below and where their prey likely gather in groups. 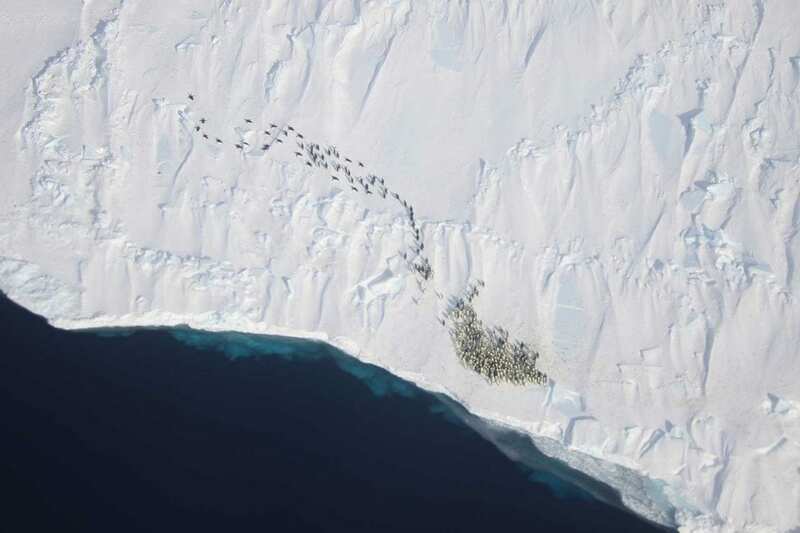 Researchers from Centre d’Etudes Biologiques de Chize in France tagged 15 juvenile penguins before the animals left their colony in Terre Adélie during 2013 and 2014 fieldwork in December, when the weather usually starts to warm and the ice begins to break up, creating open waters near the nesting site. The tags revealed that the juvenile penguins initially moved far north to reach open water areas and warmer waters. The tags showed that once the juvenile Emperor penguins became more experienced at diving, they headed south, entered the sea ice zone where they spent the winter months making deeper dives within sea ice. The thermocline starts to deepen in autumn. The animals’ deeper dives likely were related to the depth of the thermocline and the seasonal change in the distribution of their prey, krill and other fish from the surface to the depths, Labrousse says. The deepest dive recorded by the tags was to 264 meters. Tags stopped recording dives after less than one day on two individuals, while one individual’s tag stopped after 31 days. The tags on the remaining 12 penguins, recorded trips lasting from 86 to 344 days. Emperor penguins are the largest species of penguins. They are particularly vulnerable to climate change because their life cycles are so dependent on sea ice. 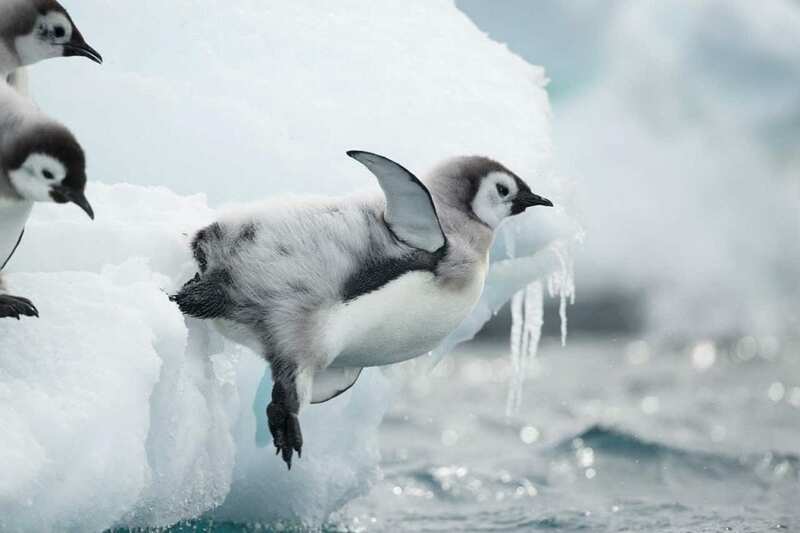 Their breeding cycle begins in March (autumn in Antarctica) when the sea ice is thick enough to support their colony. After laying a single egg each, the females leave the colony to catching fish and fatten up so they can feed their chicks. The males stay behind and cradle the egg on the tops of their feet, tucked under their brooding pouch for warmth and protection. 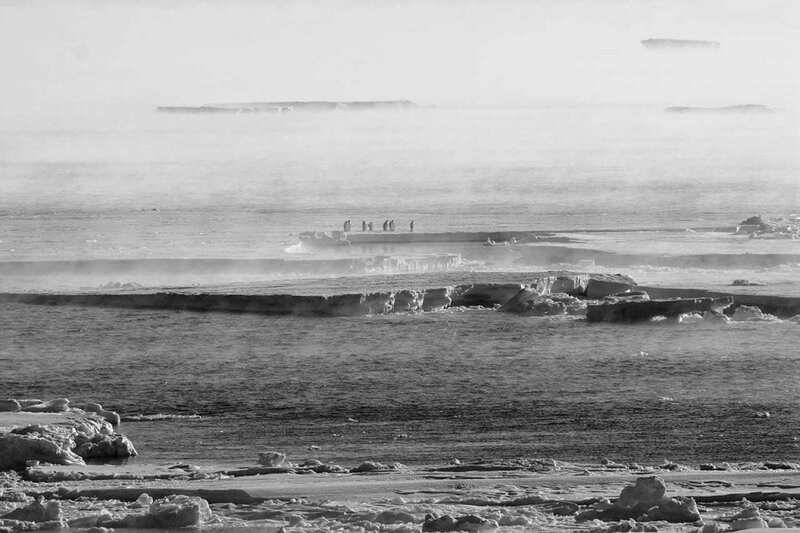 Too little sea ice during this time can reduce the availability of breeding sites and prey; too much sea ice means longer hunting trips for adults, which in turn means lower feeding rates for chicks. This research was supported by the French Polar Institute, the European Research Council, and the National Science Foundation. Additional coauthors are: Florian Orgeret, Christophe Barbraud, Charles A. Bost, and Henri Weimerskirch of the Centre d’Etudes Biologiques de Chize; Jean-Baptiste Sallee of Sorbonne Universites; and Andrew R. Solow of WHOI. 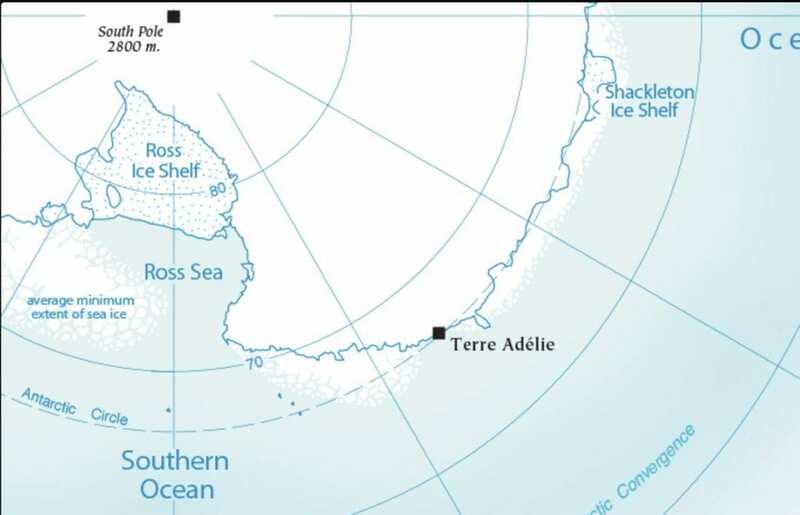 Researchers tagged 15 juvenile penguins before the animals left their colony in Terre Adélie during 2013 and 2014 fieldwork in December, when the weather usually starts to warm and the ice begins to break up, creating open waters near the nesting site.